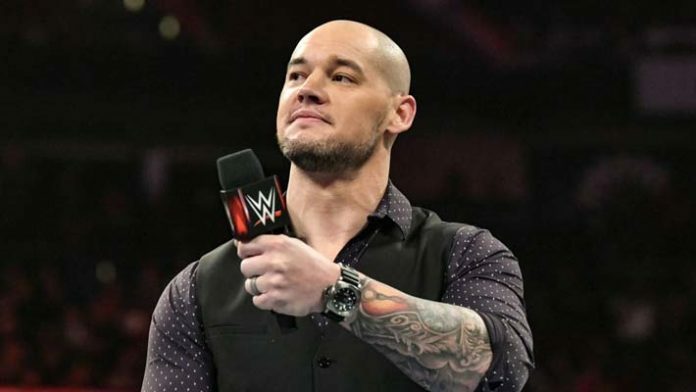 Acting Monday Night RAW General Manager Baron Corbin has reacted to the news that Vince McMahon will be returning to RAW on Monday. It was recently announced that McMahon would be returning to shake things up for the red brand. It will the first episode after this weekend’s Tables Ladders and Chairs (TLC) pay-per-view (PPV) in California. However, Corbin might not even be General Manager come Monday. He’s scheduled to face Braun Strowman in a TLC match on Sunday. Should he win, his role as General Manager will become permanent. If he loses, he’ll lose his position and Strowman will get the next shot at Brock Lesnar’s Universal Championship. Based on the announcement of McMahon’s appearance, and early reports suggesting Kurt Angle will return to WWE TV on Monday as well, it’s likely Vince announces Angle as RAW’s General Manager once again. However, that’s purely speculation and nothing has been confirmed as of this writing. We’ll keep you updated as we learn more. What do you think will happen when Vince McMahon returns to RAW on Monday?